Best Cleaner for Quick Clean Ups, Retire your dustpan and broom and transform your everyday floor cleaning! 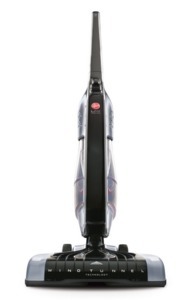 This sleek, versatile stick vacuum is always ready to deliver upright performance* with Fade Free** Lithium-Ion battery power. The only stick vacuum with Hoover WindTunnel® technology and cyclonic filtration for no loss of suction*** even when moving from hard floors to low pile carpet. 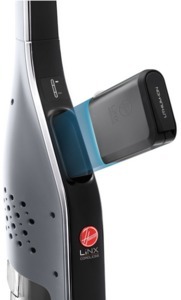 LINX Cordless Fade-Free** Lithium-Ion Battery System - interchangeable battery with charger. Powered Brushroll with WindTunnel® Technology - transition from hard flooring to area rugs and low pile carpeting easily! 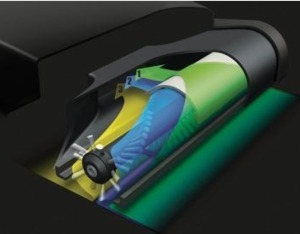 Hoover's Patented WindTunnel® Technology features three distinct air tunnels to lift and remove dirt from carpets. WindTunnel® Technology prevents dirt from scattering back onto your clean floor, so you can remove dirt in less time. LINX Cordless Fade-Free: a technology that gives you the power and run time to tackle big clean ups without the hassle of a cord. The Lithium Ion technology ensures that Linx™ Cordless System batteries sustain power until the battery is completely drained. Lithium Ion batteries provide more stable power than other types of commonly used household batteries. A wide cleaner mouth cleans up dry spills quickly, while the low profile base design allows easy access underneath furniture and counter surfaces.